If you were inspired by my PC building adventures and decided to take your own stab at piecing together a computer, I hope you don’t mind waiting. Good graphics cards have been nearly impossible to find at decent prices for the past few weeks, and the shortage doesn’t appear to be ending any time soon. This graphics processing unit (GPU) shortage started in December, when a bitcoin surge led to renewed interest in cryptocurrency mining, the process of generating numbers to claim new blocks in a blockchain, earning digital currency as a result. In order to mine cryptocurrency, you need a beefy rig, so miners are snatching up as many GPUs as possible in order to earn some of that sweet, sweet cyber-money. 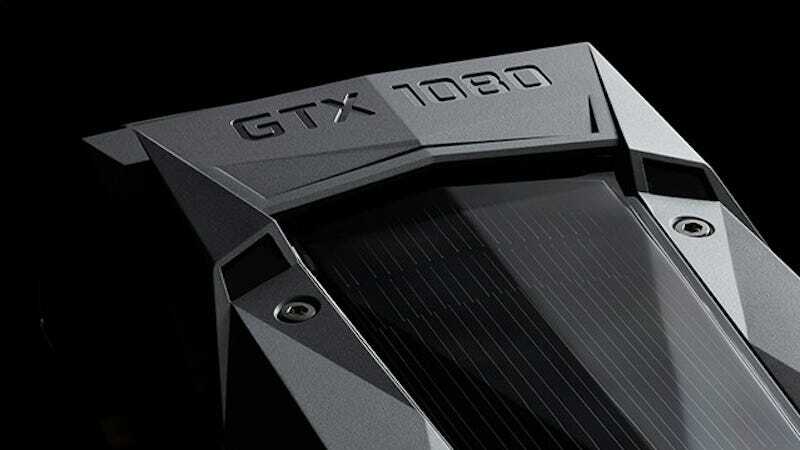 Of course, the majority of GPUs are selling through retailers, not NVIDIA’s store, and a glance at your local Best Buy’s racks will reveal a severe shortage of graphics cards these days. Computer part prices do tend to have peaks and valleys—look how pricey RAM is right now!—but as far as I can tell, we’ve never seen a shortage this consistent and extended. It is, by all accounts, an unprecedented drought of GPUs. Patience, then, is the key to building a new gaming rig these days. If you are in the market for a new graphics card, the r/buildaPC reddit has put together some useful tips for the hunt. Otherwise, well, you could just buy a Switch?